A common misconception with regards to synthetic sports pitches is that they do not require any upkeep or maintenance; however this is not the case. It’s extremely important to routinely clean the surface; this is why we supply artificial surfacing maintenance in house equipment. 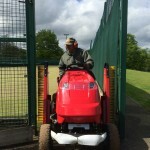 Although we can carry out large scale repairs and pitch rejuvenations, it is more cost effective if your organisation has its own specialist equipment. 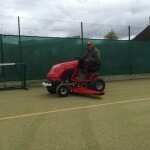 The machinery that we offer includes a range of units which can be used for drag brushing and general maintenance to your artificial turf carpet. These machines can be operated by a member of staff at your organisation which helps to cut costs in the long run compared with having a company do the work for you. 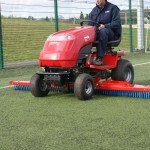 The artificial surfacing in house maintenance equipment consists of a small tractor with brushes fitted on either side. 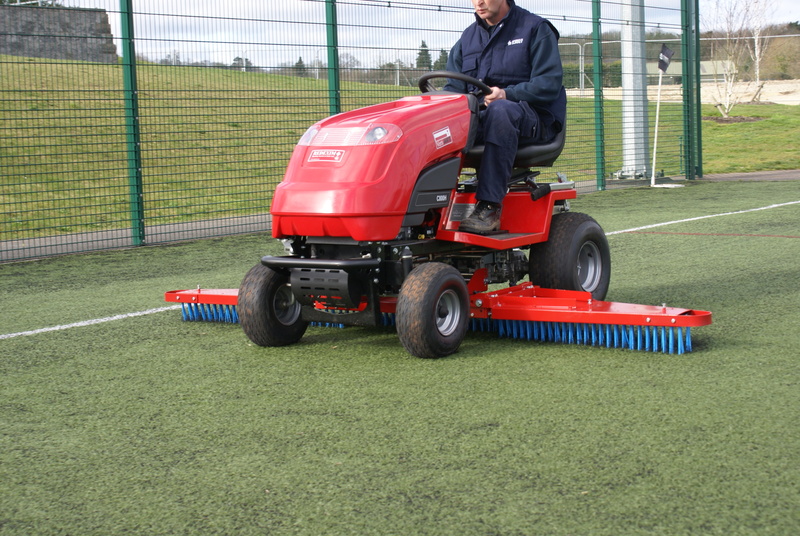 The brushes glide through the synthetic turf fibres to remove any dirt and ensure even distribution of infill. Many schools, sports clubs and other groups are looking for pitch maintenance equipment which is easy to use, easy to store and is efficient at cleaning the carpet. The brushes on these units can be lifted off the ground for quick transportation, and include adjustable brushes to suit the characteristics of your surface. If you would like to find out more about the artificial surfacing maintenance in house equipment we supply, get in touch with our team today. If you send us your details through the contact form on this page we will reply back with some further information on the costs. Our specialist synthetic pitch cleaning machinery is built with a 24hp petrol engine and hydrostatic transmission. 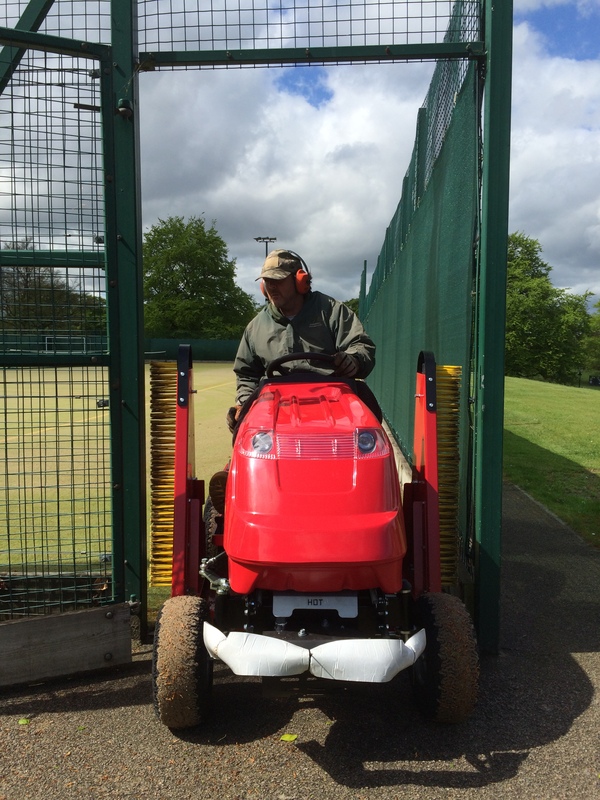 We can supply these machines to high schools, colleges, universities, sports clubs leisure centres and any other synthetic sports pitches. Our team would always recommend having a routine maintenance scheme for any artificial turf sports facility. This should be done by brushing throughout the fibres so that the sand and rubber infill particles are spread out evenly and that any debris is removed from the area. You can complete this work by using artificial surfacing maintenance in house equipment, however if your pitch is in need of more extensive repairs you may need help from a specialist. We regularly complete reactive maintenance on fake grass surfaces where the carpet has become damaged or ripped. This could include repairing the seams or edges with glue where the turf may be lifting up. 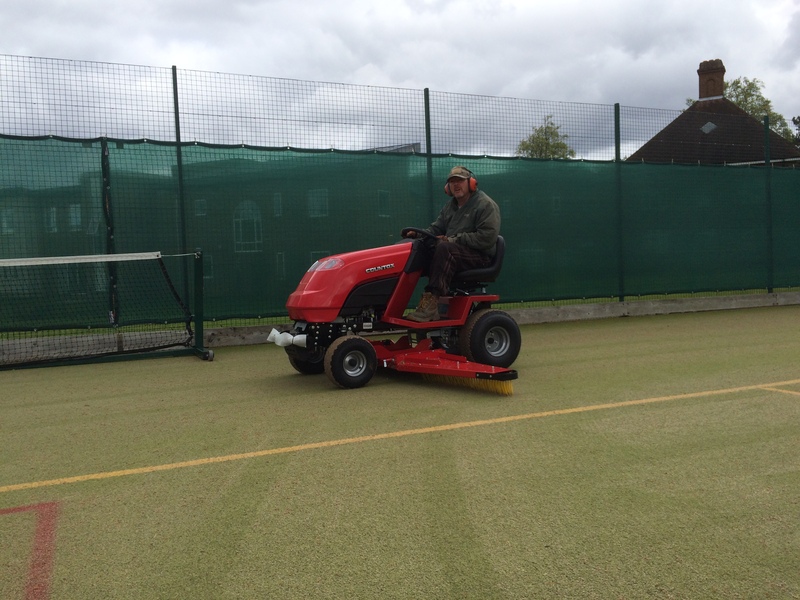 Additional services like infill top up and rejuvenation can also be carried out to make sure that the sand and rubber layers are kept clean and free from contaminants. If you would like some further advice about the synthetic pitch cleaning machinery that we offer, please feel free to fill in our contact form. We’d be happy to discuss the costs for supplying this maintenance equipment at your facility.